12 inch digging width. 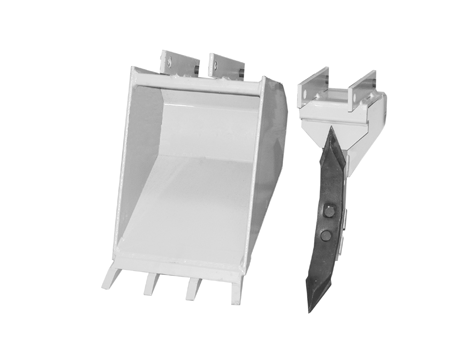 Regular duty digging bucket with a 1.6cu. Ft. capacity. Does not include BR50 Frost /Chisel Tooth Kit also shown.